At BPG, we believe home inspections shouldn't end at the driveway. Our inspectors and engineers undergo thorough background checks and must meet ongoing training and performance standards -- they are a selective group of professionals. All BPG home inspections meet or exceed state licensing requirements and industry standards. In addition, we can provide related environmental services like radon and termite testing which can help you gain an overall perspective of your property. BPG provides workers compensation, general liability, and E&O insurance with referring REALTOR® coverage on all inspections -- coverage that should be a standard in the industry, but isn't. Every BPG residential inspection includes a $2,500 90-day guarantee covering major systems, structure, and appliances we inspect. Click here for plan details and limitations. Every BPG client receives personalized support and direct access to our inspection and engineer professionals at no charge. We’re here to help – even on items that were not present at the time of the inspection. We’re confident our inspections provide real value. If we don’t meet your expectations, we’ll refund your home inspection fee. It’s that simple. *We are members and support various industry organizations like the American Society of Home Inspectors (ASHI), the California Real Estate Inspectors Association (CREIA), the National Society of Professional Engineers, and the National Academy of Building Inspection Engineers. The Inspection Support Network (ISN) is THE world leader in connecting, streamlining and automating all aspects of running any inspection business or organization. For more than a decade, ISN has created software-based tools and solutions for residential, insurance and commercial property inspections. The ISN team has worked tirelessly in that time to generate an exceptional product and form a matchless service network that genuinely makes a difference for the inspection community and ISN customers. ISN takes pride in its approach to really getting to know its customers over the years – who they are, what they do, why they do it, and most importantly, what’s not working for them. It’s also what inspired ISN to develop its one-of-a-kind conference for the inspection industry, Inspection Fuel. If you’re ready to shift your inspection business into a higher gear, then you’re ready to try ISN. WithFREE setup and FREE for 60 days, you’ve got nothing to lose and everything to gain for your inspection business. Watch the following video and get to know the global leader in inspection business software. 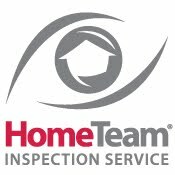 WIN Home Inspection, founded in 1993 in Seattle, Washington, is one of the leading home inspection franchising companies in United States with more than 150 operators in 32 states. For more information about WIN Home Inspection and our business opportunities, please call 1-800-967-8127 or visit https://winfranchising.com/. Visit us at www.wini.com.